Hand-sewing appears to be a dying art and those of us who can are become more and more venerated! I've been given Scout uniforms and hands-full of patches to sew on and mail back to the grandsons. You're sister's quote: "My sister is a quilter... she can do anything!" echoed my older granddaughter's comment over the holidays: "Grandma can sew anything!" I have been admiring the quilt on the front of Edyta's quilt. I know she specially put the fabric kits together for you and the class members. Is there any chance there is one left? That sounds like fun-stitching together-what a lovely quilt-enjoy! Glad your A1 is up and going again too! That will be a wonderful quilt to work on and with the mix of fabrics, you don't have to worry if you run out of a color;) Glad you found the problem and it wasn't a defect. Good thing is was a silly fix. I just love that house quilt. Sometimes a kit is the way to go. It is beautiful and the quilt will be wonderful. So glad your A1 had a quick fix. Everytime I read your blog, you make me laugh. Great to hear it was such an easy fix. I love those fabrics. All those lovely houses. Look forward to seeing the next lot of quilting tomorrow ? Happy Birthday to the giirls! Glad you A-1 is feeling better. About that Edyta Sitar pattern, we are doing that same one in our Knotty Girls group. I have my fabric strips cut and we making the great exchange next week. Your Sit and Stew group sounds interesting. Wish I lived closer. Happy Birthday to your girls! How silly that your A-1 problem turned out to be such a non issue! All in all, a good thing! Now you will be back to practicing and having fun. How exciting about the big birthday celebration coming up! Can't wait to hear all about it! You are so fortunate to be acquainted with that quilting superstar Edyta. My goodness that kit looks fabulous. I'm glad the fix for your A-1 was a simple one. Whew! I'm loving your new project - sweet kit. I may have to purchase this book. HMMMM! So glad to hear things are back on track. Those are some gorgeous fabrics! What a fun class that will be. I'm so glad your A-1 is "fixed"! I'm sure it isn't the first time Jamie has run into something like that - great that he is so good natured! I am so envious of your house quilt - and the way Edyta put together the kit is so impressive! Happy Birthday to the girls! You are lucky to get a kit. She really does a mix of fabrics I would never even consider. Have fun with your group. Edyta's scrap quilts are just beautiful! It's a funny way to swap the half-triangle squares with friends, there's no better way to get a huge variety! Happy birthday to your daughters! Oh I'm so relieved that your fix was a simple one...love your kit..you're going to have a fun, fun weekend! YIPPEE! Love the kit! I have ordered the book and am awaiting its arrival, I can hardly wait! Am excited to see your quilt when it is all done! Edyta has such an amazing style, and I was so impressed to see how beautifully she mixed batiks with other fabrics. How awesome to get a kit from her! Have fun sitting and sewing! Oh wow, that is a gorgeous quilt. I love the fabrics too! I really like the little 9-patch quilt rolled up in the basket in front of the farmhouse quilt. I'm a sucker for 9-patches. I can't wait to see your progresson this. Have fun at your sit n sew. 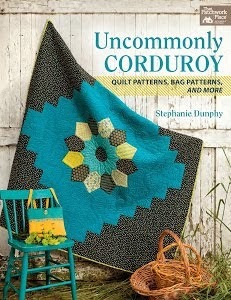 I love that quilt and am so excited that you are going to be making it! I have been eyeing the book myself;) Can't wait to see how you come along with it!!! Glad it was such a simple fix! Will you save one of those kits for me??? Please, please, please?? I want one! I want to do that quilt, too. I should finish my Tree of Life quilt. I am going to work on it Friday night. Hmmm...should I bring it on Saturday or star this on Saturday? Maybe I'll bring Tree of Life but pick up the kit on Sat and start it at home. What do you think? I LOVE that Edyta put the kits together for us. My stash, although huge, is too meager also. It doesn't all go together! Wow, that fabric is stunning. Have fun with that quilt. Glad your machine just had a little something wrong with it. Beautiful quilt and I would have purchased the kit too! I love the book ... will have to order it :) I have her book Hop to It and love it. Glad to know you LA is working and it was just a simple thing! Oh that quilt is going to be wonderful! And I'm so glad Kristin had a great day wearing her coat! Yet another quilt I love - I'm amazed to see her name EVERYWHERE these days, that is so cool! Glad your A-1 is happy, how funny that a little plug can cause so much trouble. I've had people ask me to mend things, and hubby wants a fishing vest - you know, with all the pockets - I keep telling them I ONLY make quilts!! Such a very pretty quilt! And great, the way the fabrics are labeled. What an exciting day tomorrow, in many different ways (o: Have fun. It's just not fair - stamping foot and sulking. I want to come and sew with you all, it would be such fun. I am so happy that your A-1 (has it got a name yet by the way?) is fixed and that it was nothing serious. (I was tempted to say "terminal" instead of serious, but thought you might groan at the pun). Ooh, I 'm glad it wasn't serious, Linda. 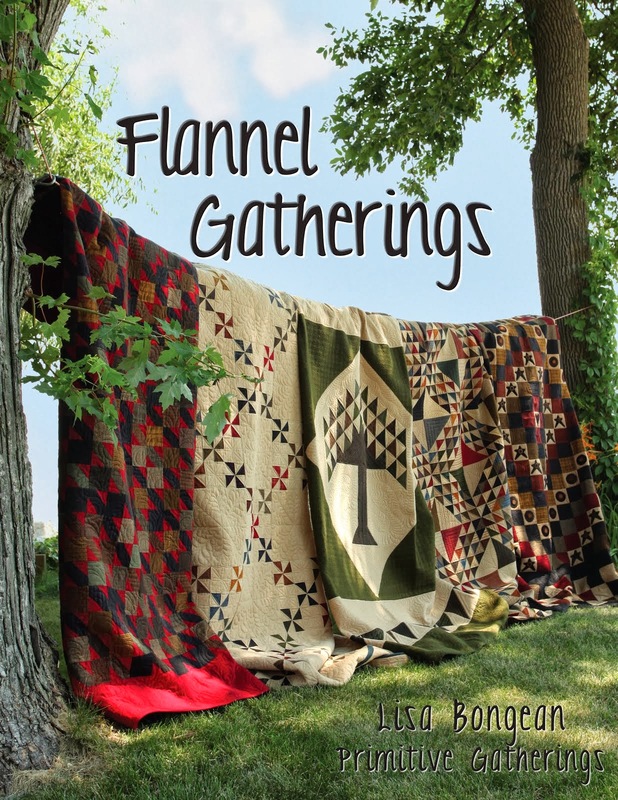 I am LOVING the Farmhouse Quilt you are going to be doing. I love anything with houses. I love hearing about your A-1. Love that Farmhouse Quilt pattern and kit. Glad your machine issue turned out to be a minor handler error and now you can get to it again. Running kids to activities provides a break from the machine, so it's all good. Really really love the Farmhouse quilt...sigh.